Laddie: Abby the Black Lab has been slacking off recently and hasn’t written a blogpost since May 2014. In response to my threat to withhold dinner tonight, she graciously offered to step in and share her views on community and #dblogcheck day. Abby: It is #dblogcheck day. Laddie informed me that she is too busy to write a blogpost today because she is visiting other blogs in the Diabetes Online Community (#DOC) and leaving comments. Although I am overworked protecting my home from coyotes, rattlesnakes, and FedEx drivers, I suppose I can take a minute to discuss dog biscuits, mailboxes, and people with diabetes. In my Arizona neighborhood there is a magic mailbox which dispenses dog biscuits instead of outgoing mail. I learned about it a few years ago from my Golden Retriever friend Stella. When Laddie and I walk down this street a few blocks from home, I tug on the leash to prompt her to open the mailbox door and see what delicacies await me. (Mind you, I eat tree pods, table scraps, and rabbit poop so I’m not very particular….) Along with dogs of all breeds, shapes, and sizes, I wag my tail and explode with excitement. I am a 78-pound dog who goes berserk over snacks the size of a quarter. Do you know what else the magic mailbox does? It beams happiness to My Human and zaps a smile on her face every walk. Some days there are twenty treats in the mailbox and they are devoured by late afternoon. That means that lots of dogs got yummy treats while their owners were reminded that small things can bring joy to others. The random act of dog-biscuit-kindness is contagious as the humans become more apt to smile at and engage their neighbors. By dispensing magical treasures every day, this mailbox helps build a bond of community in the neighborhood. Community. That’s important. So what does this have to do with diabetes? The purpose of #dblogcheck day is to celebrate the #DOC and connect with people on blogs, Twitter, Facebook and wherever you hang out. You are prompted to leave a comment on every blog you read even if it is as short as writing “Check.” I like to think that blog comments, tweets, and Facebook remarks are dog treats where you touch base with people and remind them that they are appreciated and that the diabetes community is important. Laddie: Sometimes I ask myself whether my blog is my most important contribution to the #DOC. My answer is “Not at all.” I think that when I read and respond to the blogs, tweets and Facebook postings of my FFABD’s (Fellow Folks Affected By Diabetes) that I validate their experiences and remind them that their voice is important. That’s a good thing. Abby the Black Lab has no idea about the carb count of dog biscuits and neither do I. We both know that comments are carb-free and we encourage you to explore the #DOC today and everyday. Write comments and take time to welcome/support new and established members of the diabetes community. No one has ever complained about too much love, respect, and validation. I try to be open-minded when it comes to my online/offline interactions with people affected by diabetes. On one hand, I can be as snarky and self-centered as anyone. On the other hand, I have learned that being kind and supportive gets easier with practice and soon becomes a very nice way to lead one’s life. I have definitely had good role models in the DOC and I thank you all. I am also old enough that I have learned that there is no right answer to every question and no guarantee that doing the “right” thing will guarantee good results. So I try to be understanding of other people and usually I succeed. Last weekend I unwittingly became the the central character in an unpleasant diabetes online experience. Neither the group nor subject is important. I have pretty thick skin and was more stunned than hurt by the barrage of comments. I suppose one problem with the Internet is that although you can control what you write, you can’t always control how your words and intent are received. I don’t pretend to be perfect and am willing to accept responsibility for my missteps although I still don’t quite understand what happened. I’ve spent a fair amount of time this week thinking about my responsibilities as a member of the DOC. I had a recollection that some blogger once outlined behavior suggestions for the diabetes community. The few longtime DOC bloggers whom I asked about this didn’t think that such a thing existed. Chances are that I once read an article about general online etiquette and that stuck in my mind. Whenever you have interpersonal problems, I think that the best thing you can do is take a deep breath and reread Robert Fulghum’s list of things to be learned in kindergarten. It always makes me smile. Now that we’re feeling all warm and cozy, let’s consider the DOC and whether there should be a code of conduct. The bloggers whom I recently contacted and the DSMA Tweet Chat of 9/3/14 were unanimous in the opinion that there should be no rules for the diabetes online community. According to one writer, rules would go against the “organic flow” of the community. I think that means that we’re an opinionated and rowdy bunch who have a modicum of common sense along with compassion and mutual respect. But when all is said and done, a few rules did come out of the discussion. 4. If someone screws up, give them the opportunity to learn and then forgive them. If four rules are too much for you to deal with, just go with #3. If you are an active participant in the Diabetes Online Community (DOC), you have read about multiple diabetes conferences that seemingly “everyone else” attends. There are multi-day conventions such as Friends for Life and Diabetes Sisters and single-day events such as TCOYD and the ADA Expos. Some like the ADA Scientific Sessions are huge and designed for medical professionals. Others like the JDRF Reach & Teach U’s are sponsored by local JDRF chapters and targeted for children, adults, and families. But you might live in a small town where nothing like this is available. You might be terrified of not being able to afford your next bottle of insulin and the cost of attending a conference, especially one out of town, is lightyears beyond your reach. You might be shy and fearful of immersing yourself in an environment where maybe no one will talk to you or you might have an embarrassing low. You might have absolutely no interest in spending your time and money to travel somewhere and talk to a bunch of people who have diabetes. At the same time, diabetes is a nagging and constant companion. It takes no vacations. Just when you think things are going well, it slaps you upside the head and reminds you just who is in charge. Maybe you have a few complications and the crippling fear of your next eye exam or blood test has hurled you in a deep dark cave of depression. Maybe you’ve had this disease long enough to worry that your luck is about to run out and the future is lonely and terrifying. 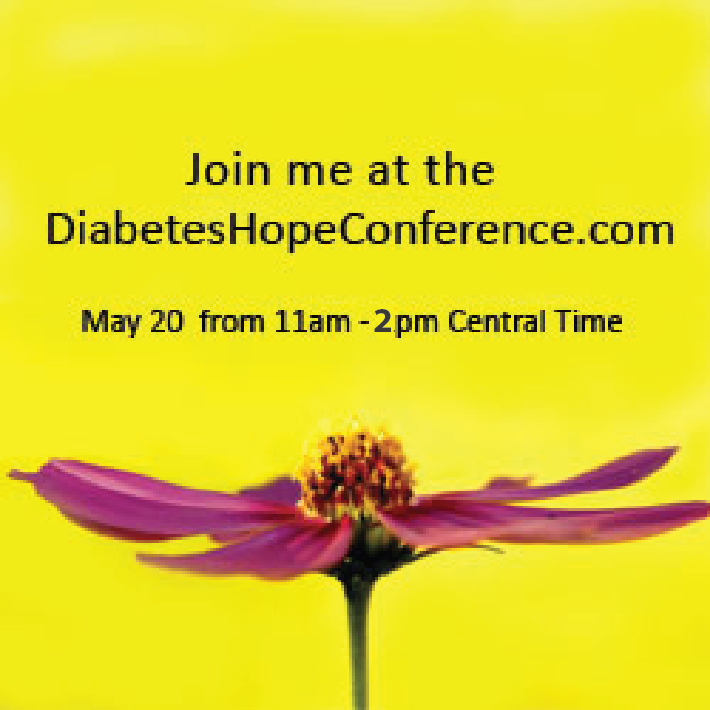 I invite you to participate in the 2nd Annual Diabetes Hope Conference. This is a 3-hour online webinar scheduled for Tuesday, May 20, 2014 from Noon until 3:00pm Eastern Time (USA). There is no cost to “attend” this conference, but you must pre-register and space is limited. The theme of the conference is HOPE. No matter how frightening and severe diabetes complications can be and no matter how depressing it can be to live with a lifelong chronic condition, we all need HOPE. One way to create HOPE for people with diabetes is to talk about our fears and learn from each other, the medical community, and pharmaceutical and device companies. This is the point where I need to let you know that this conference is sponsored by Pamlab, the company behind the prescription-only nutritional supplement Metanx that can be effective in treating peripheral neuropathy. Scott Johnson, whom many of us only know as a blogger, is a consultant to Pamlab and has been instrumental in the creation of the Hope conferences. To read the story behind the development of the conference, click here. Last year’s online program had about 250 participants and the expectation is to double that number this year. Nothing about the conference is a marketing ploy and you don’t need to be concerned that your sign-up information will be used in any way by the sponsor. Okay, that’s out of the way and let me tell you more about the Hope Conference. There are three panels for the conference, each lasting about one hour. The panelists are all A-list diabetes professionals and bloggers/advocates. For the price of a free ticket and three hours of your time, you have the opportunity to listen to and interact with some of the most influential people in diabetes. The first panel is titled The Doctor Will See You Now. Christel Marchand Aprigliano and Karen Graffeo will present questions to Dr. John Anderson, Immediate Past President, Medicine & Science of the American Diabetes Association. Once you sign up for the conference, you are urged to submit questions for this panel. What are the questions about the science of diabetes that you have always wanted to ask your endocrinologist? What do you wish you knew about ongoing diabetes research? What is the ADA doing for us? The second panel is The Value of Blogging in Chronic Illness. Kerri Sparling and Mike Lawson will talk with Pamela Katz Ressler, the co-author of the research study Communicating the Experience of Chronic Pain and Illness through Blogging. This should be a fascinating discussion between three experts on the role of social media in healthcare outcomes. The third panel will be Who’s in Charge? Who Says What? And Why? George Simmons will dive into patient/doctor relationships with Dr. Jen Nash. Dr. Jen is a practicing clinical psychologist, as well as author, consultant, and oh yes, a person with Type 1 diabetes. Put the date and time on your calendar. Get your ticket to participate. Check out the website to learn more about the panelists and the conference. Spread the word about the conference. The Twitter hashtag is #dHopeConf. You can download graphics at this website. On the day of the conference, follow the link on your confirmation email to join the webinar. You can use your desktop computer, your phone, or your tablet. I participated in last year’s Hope Conference and already have my “ticket” for this year. The “virtual panels” will be live streamed and the audience (that’s us!) can submit questions live to the panelists via Twitter using the hashtag #dHopeConf. I’ll be there. I HOPE to see you there also! 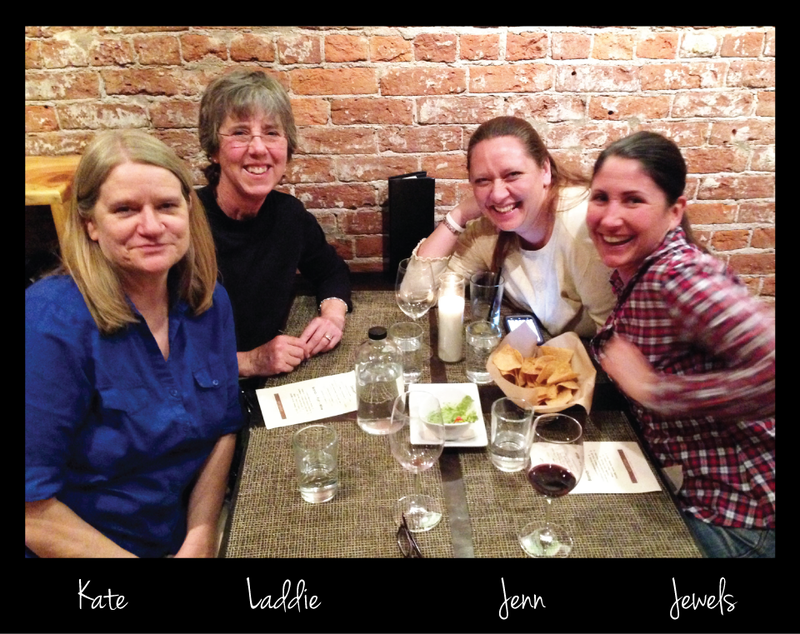 Last week I had dinner with three fabulous women. All of them have diabetes and all are well-known bloggers in the DOC. 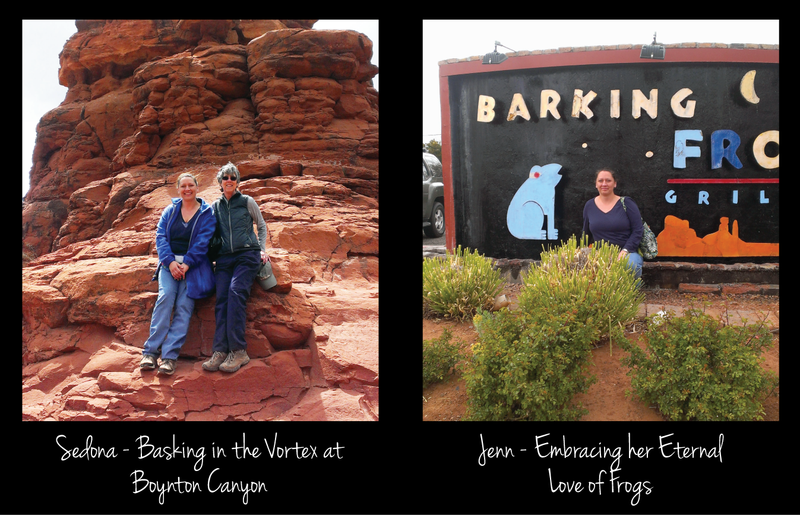 It was invigorating, it was fun, and it was truly an honor to spend time with these women. We mentioned one guy a few times during dinner. No, none of us had a grilled cheese sandwich, but I bet you know whom I’m talking about. Yeah, it’s Scott Johnson. What does Scott have to do with this dinner? He is absolutely the reason that this meet-up occurred. A little history here. 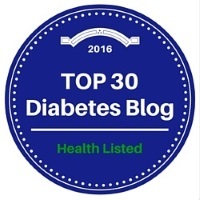 I’ve been active in the Diabetes Online Community for about ten years. I’ve participated in message boards and read numerous blogs with various anonymous screen names such as Lathump or Casabby. In late 2011, I emailed Scott responding to an invitation he had made to help people in the Minneapolis/St. Paul area get connected with other folks with diabetes. In typical Scott fashion, he replied warmly and generously with the contact information for several groups. I met Scott in the spring of 2012 at a Type 1 meet-up at the Edina Panera Bread and felt like I’d known him forever. Somehow meeting Scott brought the DOC to life for me. I saw him at a couple of other diabetes events and occasionally we emailed back and forth. I don’t remember how DSMA entered our relationship, but in January 2013 I emailed Scott that my aim for the winter was to listen to the entire archives of DSMA Live of which Scott was one of the hosts. DSMA Live was (and is) is treasure trove of diabetes stories and mid-winter I “met” Kate Cornell. Kate has Type 2 diabetes and blogs at Sweet Success: My Life with Type 2 Diabetes. Listening to the November 2012 interview, I was very impressed by Kate who seemed so composed and so knowledgeable. I started following her blog and filed it in the back of my mind that I wanted to meet her some day. More than once I would read something that Kate wrote and think that “Wow, this woman really knows her stuff and she says things that I might say”. As the winter of 2013 progressed, I learned about DSMA Twitter Chat on Wednesday evenings. Twitter was a complete unknown to me, but I bravely indicated to Scott that I might try it out. Kerri at Six Until Me had previously published a post outlining the basics of Twitter and I followed her instructions and signed up. At my inaugural Twitter Chat, the first person who welcomed me and gave me the confidence to continue, was @JennMamaBear. I followed Jenn and was daily impressed with her photographs and Twitter skills. I followed her blog Sweet Zoo and also starting playing Words with Friends with her. When I learned that Jenn was from Utah, I mentioned the idea of a meet-up in Flagstaff and indicated that I had always wanted to meet Kate. Jenn immediately jumped on board and said that she knew someone on Twitter from Flagstaff and her name was Jewels. Although I did not realize that Jewels was from northern Arizona, I “knew” her because of a November 2013 interview on the DSMA ‘Rents show. Jewels has Type 1 diabetes and blogs at SheSugar. One of her daughters also has Type 1 and Celiac disease, so her blog is an incredible resource for information on living a healthy life with both conditions. It is much more than a recipe source, but the low-carb gluten-free recipe that she recently featured for Crispy Cauliflower Crust Pizza is high on my list to try. To make a long story short, these Scott Johnson-, DSMA-, and DOC-connections led to a dinner meet-up of four diabetes bloggers in Flagstaff, Arizona. In many ways this dinner was a reflection of both the kinship and diversity of the Diabetes Online Community. Despite our instant connection to each other and our thoroughly entertaining evening, our stories are really quite different. Kate was diagnosed with Type 2 diabetes nine years ago. 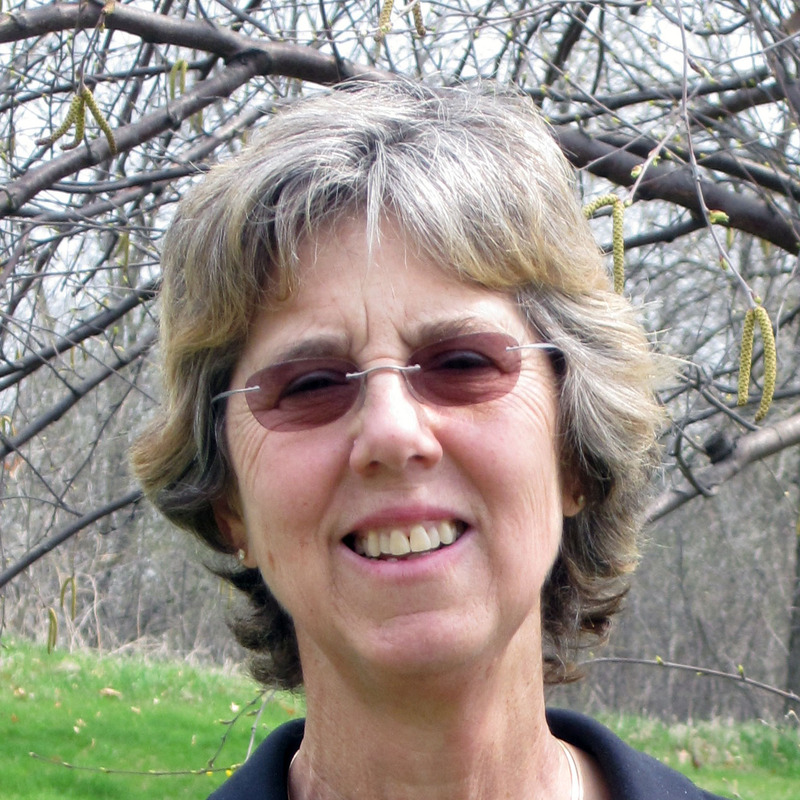 She is an independent sort and with no “diabetes team” in 2005 to teach her what she needed to know, she searched the internet to learn everything that she could about diabetes. She combines oral meds with low-carb eating to keep her diabetes ducks in a row and is currently involved in a frustrating battle to convince her doctor to let her begin using insulin. Jewels was diagnosed with Type 1 as a child and has the unique experience of being a Type 1 who is parenting a child with diabetes and celiac. She is a nurse, freelance writer, and health consultant who embraces a gluten-free lifestyle for her family. She is a Stanford Medicine X ePatient scholar and JDRF volunteer who balances her advocacy work with a crazy-active life spent biking, running, skiing, and participating in yoga. Jenn has been living with diabetes for almost ten years. Her diabetes story is the ubiquitous tale of being misdiagnosed as Type 2 for six frustrating years before finally getting the correct Type 1 label in 2010. She is an animal lover who manages to make room for her husband and daughter in a house ruled by cats. She works full-time, is active in her church, is a JDRF advocate, and is a fun and enthusiastic travel companion. A Type 2, a Type 1 diagnosed as a child and parenting a T1, a Type 1 initially diagnosed as a T2, and a Type 1 diagnosed as a young adult. That’s a lot of diabetes mojo at one dinner table. Jenn and I went to the red rock country of Sedona on Wednesday. We marveled at the beautiful scenery while hiking (18,484 steps and 8.33 miles per my Fitbit), visiting local landmarks, and wandering through unique shops. Never far from the DOC, I had to take a photo of Jenn by the sign of the frog-themed Mexican restaurant where we had a delicious lunch. She needed to send it to Tina who knows of Jenn’s hatred of frogs and always sends her frog photos. Of course I “know” Tina from her September 2013 DSMA ‘Rents interview…. So yes, Cherise, this time there are photos and yes, it really happened.